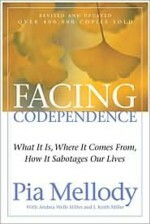 Pia Mellody is an internationally renowned lecturer on the childhood origins of emotional dysfunc-tion. Her recovery work-shops have benefited people all over the world and her bestselling books have been translated into many languages. She is a member of the faculty at The Meadows Treatment Center, a residential center for victims of trauma, emotional abuse, and addictions, in Wickenburg, Arizona.